Building a real estate website is not as hard as you might think. Even a newbie can build a professional looking website with the help of real estate WordPress themes. But in this case, people usually find it hard to find ways of adding all the features. 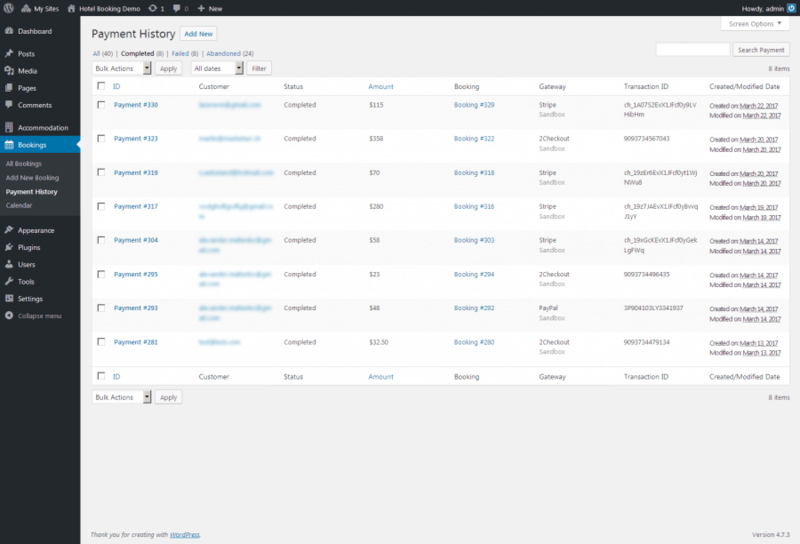 This is where Hotel Booking Lite property rental system WordPress plugin comes to help. 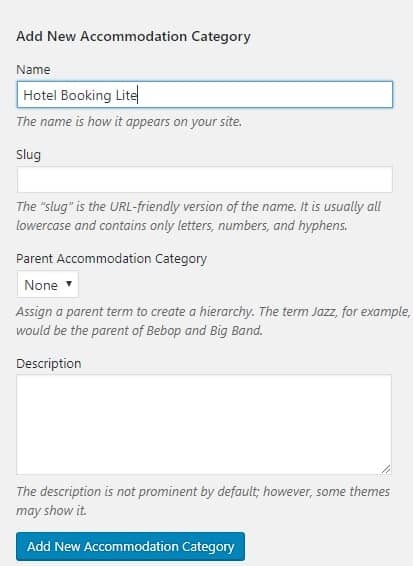 What is Hotel Booking Lite? Hotel Booking Lite is a free property rental system plugin that allows you to create a beautiful rental property booking website as well as vacation rental listing with online and offline payments features. 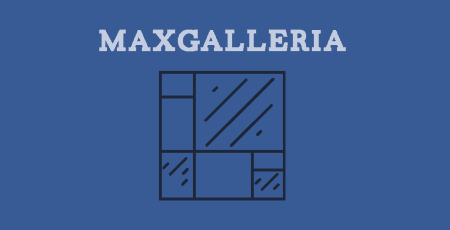 You can even add automatic inventory control, taxes & fees info, flexible pricing rates, custom policies and more. The plugin also comes in a premium version that allows you much more control – just take a look at the demo and see the features yourself. This WordPress Hotel Booking plugin is a perfect rental solution for anyone who is in the hospitality and lodging sector. 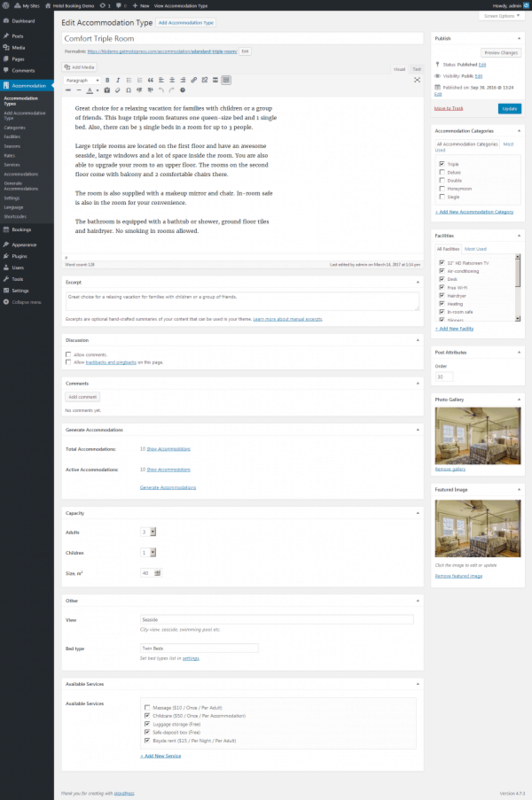 The rental plugin is also compatible with any theme available on WordPress. Accommodation Types – Here you can add the accommodation types that you have including pictures and other details such as capacity and other available services. Categories – Here you will get the option to add accommodation categories. 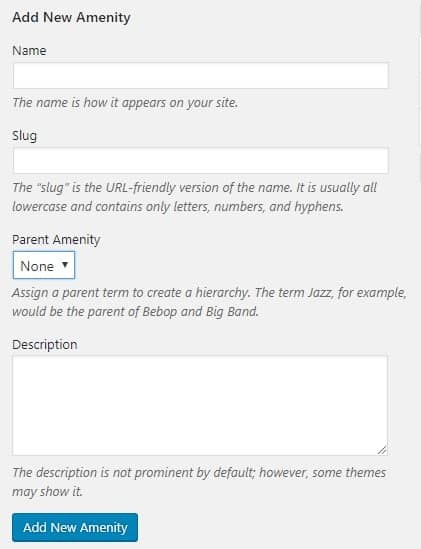 Enter names, change slugs and even add parent categories and descriptions. 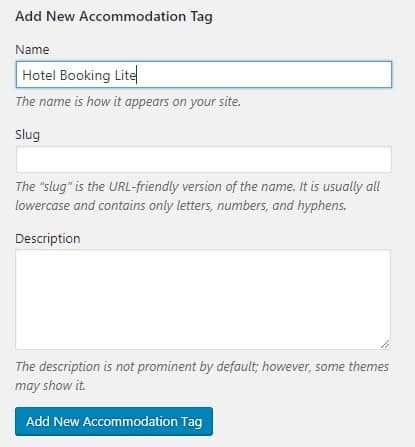 Tags – Add here new accommodation tags. 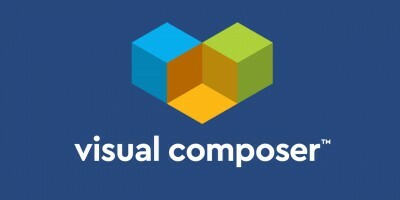 They work similarly to WordPress tags which allow you to group accommodations on your site. Amenities – You can add available amenities here. Rates – Rates often vary depending on facilities and the accommodation types. For example – Double room with breakfast included will have a different price than the double room without breakfast. Sometimes, guests even look for a customized selection option. Services – Add services that hotels and lodges are providing along with the pricing. Accommodations – Here you have to add real accommodations such as rooms, apartments, houses, villas, etc. You can generate your own accommodations based on the availability. 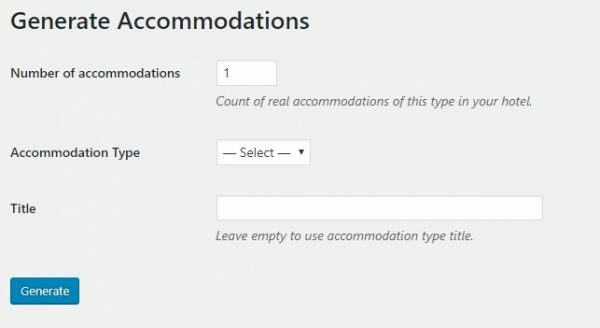 Generate Accommodations – You can generate accommodations based on availability. 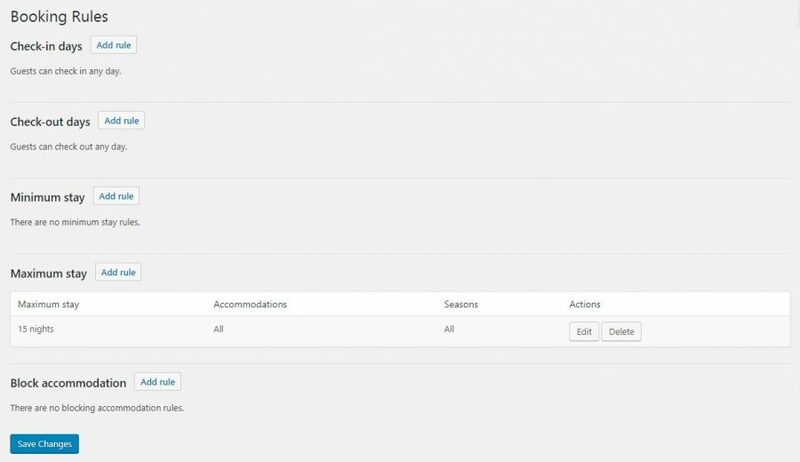 Admin Emails – You can set email templates here that admin gets after booking is confirmed. You can even disable email notification. 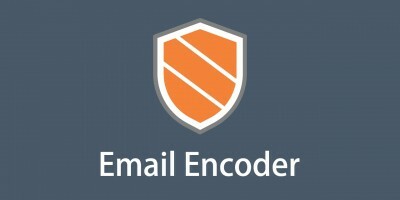 Email Settings – This is where you set emails that clients get from your side with reserved accommodation details. Payment Gateways – Here you can integrate different payment gateways (PayPal, 2Checkout, Stripe, Braintree, etc.) 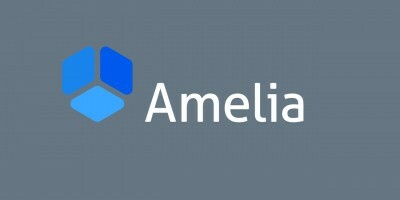 to receive payments from users who do reservations. Language – By default, the plugin will show all messages, labels, and buttons in English. But if your website is in other languages, then you can contribute to the translation. In case, if you have a multilingual website, then you can integrate additional language plugin like Weglot or TranslatePress to your website that will allow the users to switch the website in their desired language. 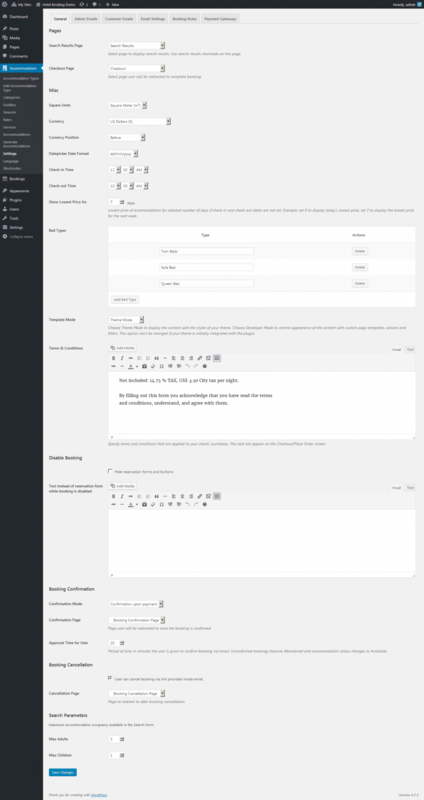 Shortcodes – You can customize your website using shortcodes. 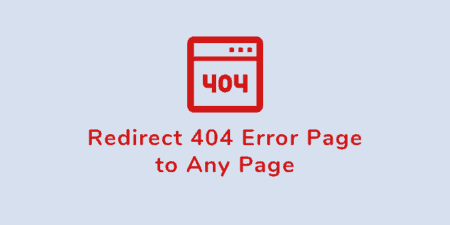 There are many predefined shortcodes available that you can find here. 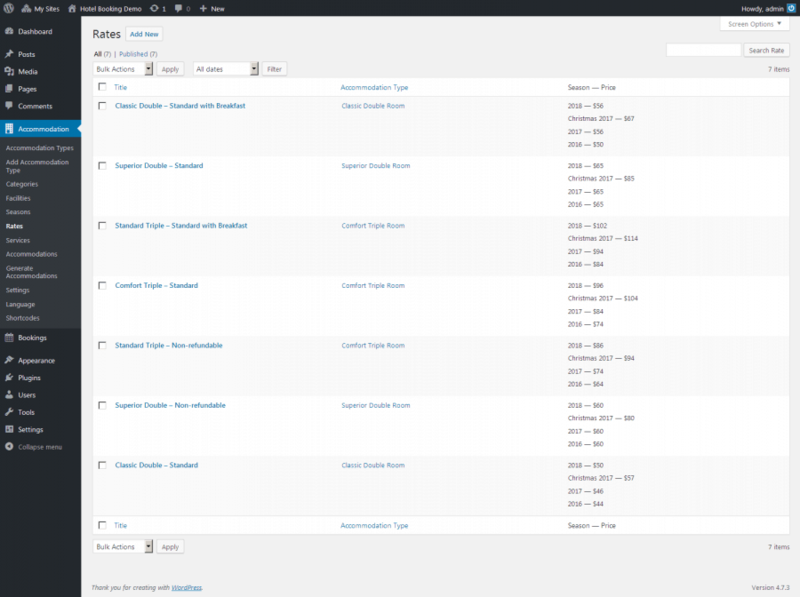 All Booking – Here you can see all the reservations data that has happened to date. 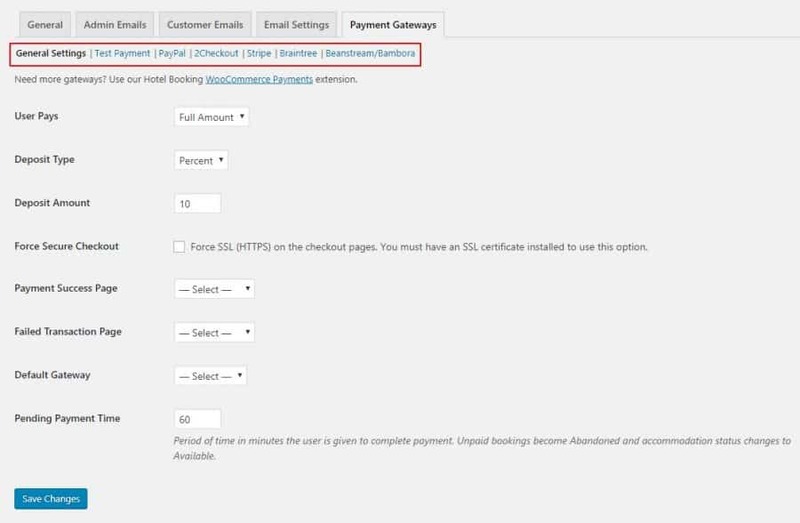 Payment history – This tab will show you the payment that has received from the reservations. 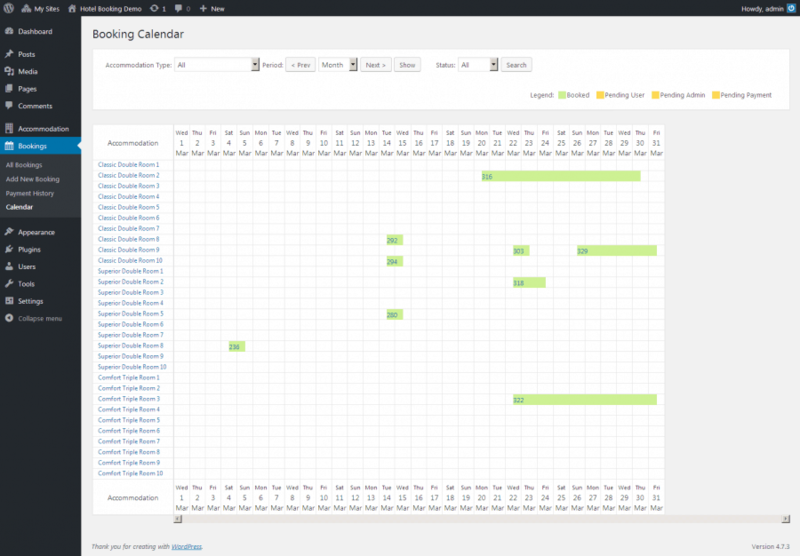 Calendar – It lets you know which rooms have been booked on which date. You can also see booked and blocked reservation. Coupons – Here you can add coupons that you want users to apply to get a discount during the reservation in your hotel or lodge. Booking Rule – You can set booking rules here for the accommodations. 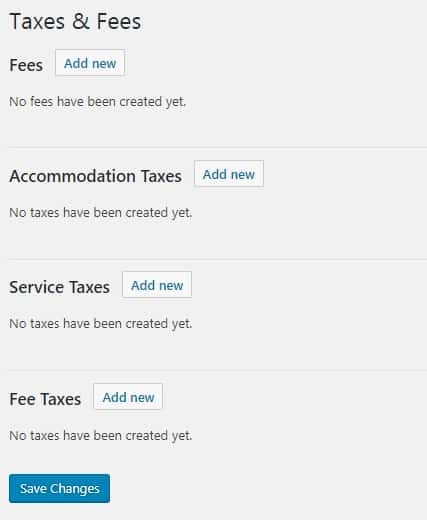 Taxes & Fees – Here you can add taxes and fees such as service taxes, accommodation taxes, fee taxes, etc. 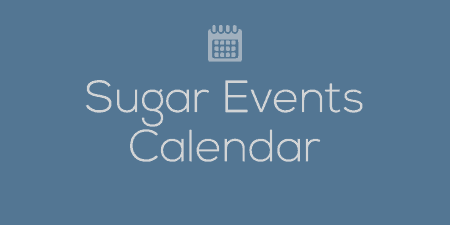 Sync Calendars – Sync your booking across all online channels such as Booking.com, TripAdvisor, Airbnb, etc. through iCalendar format. In order to use to this feature, you have to upgrade to the premium version. Premium – You can get access to more advanced features of Hotel Booking plugin when you upgrade to the premium. 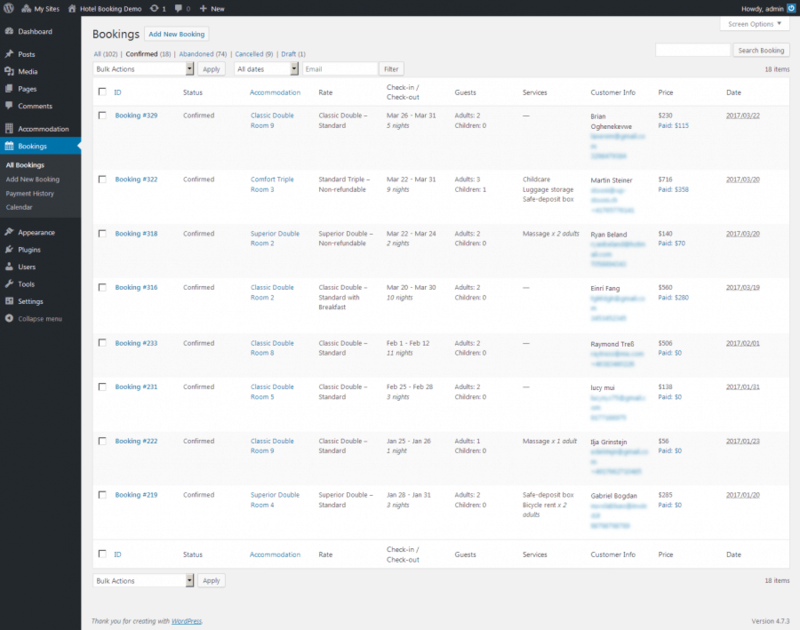 Hotel Booking Lite is one of the best rental plugins that you can use today to integrate hotel booking features to your WordPress website. It has over 400+ active installations worldwide since it lives. 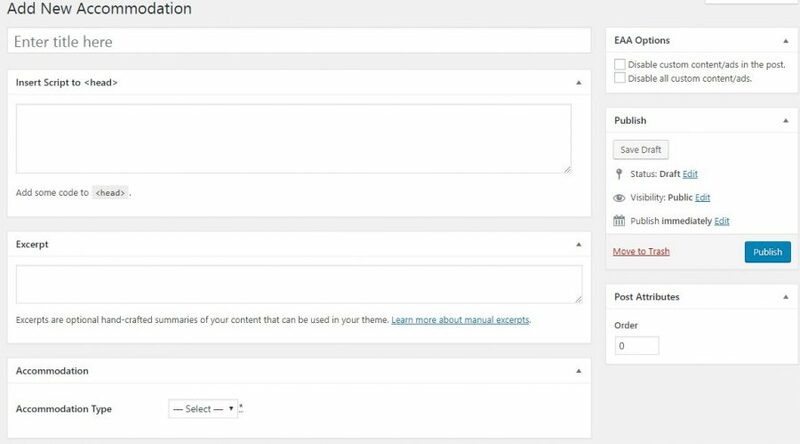 The plugin frequently updates and adds new features to make it a more effective rental plugin.